Ask fellow campers about "Sunbury / Columbus North KOA" and nearby attractions. We always have a great time staying here. Staff is extremely friendly and helpful. Sites are easy to get in and out off. If you have a big rig I recommend staying in the pull thru sites by the field. We camped at Sunbury / Columbus North KOA in a Travel Trailer. This park is several miles from the interstate but not too difficult to find. One of the nicest campgrounds we have ever stayed at. All facilities are first-rate. No cable TV but several OTA channels. I highly recommend if you don't mind driving a few extra miles on rural Ohio roads. We camped at Sunbury / Columbus North KOA in a Fifth Wheel. There is a covered bridge nearby that is worth visiting - check with park staff for directions. This is a great campground, particularly if you have kids (which we do not). Unfortunately we were there for just an overnight, but could easily have stayed longer. Lots of amenities and activities, wonderful pool, well-maintained and refreshing. Long level wide site with lots of room between units. We enjoyed the food truck after a tiring drive day. The location is very rural, and you need to be sure to follow campground and not GPS directions from the highway. It was a little ways off the highway but well worth the stop. We would definitely stay here again if in the area. We camped at Sunbury / Columbus North KOA in a Fifth Wheel. A very nice campground, so much so we extended our stay for a day. Pull through site was not level which was a pain but the rest of the park was beautiful and secluded. They have a nice catch and release fishing pond and the staff is very friendly. A very nice pool and play area for the kids. Well-maintained and hooks up were close and easy. My only issue was with the long term residents on the other side of the pond. About four men were out there talking very loudly and dropping F-bombs such that I had to have my ten yr old daughter go inside. Then they got out a drone and flew it all over the park and very close to people's rigs. My very beautiful wife was fishing and the drone kept hovering around her while the men kept up their cussing with every other word. I do not think I would stay there again just because of those idiots. Felt like my privacy was being invaded. Again, value, service and cleanliness were all well above average. We camped at Sunbury / Columbus North KOA in a Motorhome. This is one of the nicest parks and best RV sites we have ever stayed in, and we have stayed in hundreds. We looked out the front of our RV on to a small lake. We had a brick patio, with very nice table and chairs. Very nice play area and pool for kids. Activities. They had Halloween in July when we were there. Pizza was delivered to our door. The only negative I can think of is goose poo all over the area close to the lake. And it is a bit of a chore to get to this place from the express way. However, the RV park is quiet. We camped at Sunbury / Columbus North KOA in a Motorhome. If you have kids, you need to bring them here! We don't have kids and still liked it very much, but there is so much for kids to do here that they will love it. 50 amp full hookup pull-through, good placement of the hookups and nearly level made our site very pleasant. We got lots of OTA TV channels, good free wifi too. This was the quietest night we have ever spent in a campground...however, it was 9 miles off the interstate and 8 of it was down a 2 lane, winding road. We also have to go back the same way rather than taking a shortcut because there is one road with a low bridge. There is a warning on their website, and if your RV is less than 11' you could take that road..ours is 13'6". The road to the campground is beautiful, so sit back and enjoy the ride. There is a small lake with canoes (free to use), kayaks and paddle boats, a petting zoo, huge playground area with the only (sort of) zip-line for kids I have ever seen. I watched one little girl use it and wish I had been younger...I would have done it! The pool is heated and very nice, with places to sit in the sun or the shade. Landscaping is beautiful, the lawn was manicured and everywhere you look is just what you envision an RV park should look like. I would DEFINITELY come back if in the area. I thought it was quite pricey, but when I saw all they offered, realized that all these amenities don't come for free. It says they have cable TV, but that is only for the cabins and one TV outback of an area, but over the air TV is great! This really is a resort and the nicest KOA I have ever seen! We camped at Sunbury / Columbus North KOA in a Fifth Wheel. There is the Roadkill Cafe if you're hungry and a very nice country store where you check in. They even have a pizza night every Friday and church services on Sunday morning. This campground has lots of activities for kids, and was very, very full when we stopped here for the night. The campsites are close together, but clean and well maintained. The ice cream in the store was perfect after a long, hot day of driving. We camped at Sunbury / Columbus North KOA in a Motorhome. Easily our favorite campground to date! It was beautiful and remarkably clean. The staff was the friendliest we've ever met. If you want to just relax or if you are looking for activities for every age this is the place!!! If you ladies have a chance visit Haley at the Day Spa! She's amazing! We are excited to revisit later this summer! We camped at Sunbury / Columbus North KOA in a Travel Trailer. Just a one night stop over on our way back from wintering in the south. The park had just opened for the season the week before so it was still quiet. Wish we could have spent more time there. The site was great and the utilities all worked well. We did have to shut the water down one night because of freeze warnings but it didn't affect us because we had enough onboard. We would stay there again but unfortunately the park is closed when we will be heading down south in November. We camped at Sunbury / Columbus North KOA in a Motorhome. One of the best run camps we have seen. It's really a resort for long time stays. We stayed only overnight so we didn't use any of the activities except the hiking trails. Our spot was dead level and very clean. They lead you to your space, and when we arrived the manager was sweeping the area around the picnic table. They have a small store, a small cafe, a catch and release lake and lots of other activities. The wifi was very fast. Lots of mature trees. Overall, a great place. We camped at Sunbury / Columbus North KOA in a Travel Trailer. Beautiful with mature shade trees. 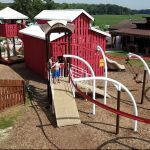 Kid friendly, with lots of activities - pool, petting zoo, bounce pad, etc. Our site overlooked a cornfield. I would love to visit again. We camped at Sunbury / Columbus North KOA in a Travel Trailer. Nice quiet at night. To many golf carts tho, the constant parade of carts kicks up dust making it unpleasant to sit outside. We camped at Sunbury / Columbus North KOA in a Motorhome. 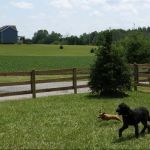 We originally reserved for three nights and several weeks ahead of time we had to change to two nights, the refund process wasn't easy because we paid with PayPal, however it did get done. There is a gate with a code to get in and the code they gave us as we got there didn't work the next day - nothing in the paperwork said anything about stopping at the office to get the new code! That said, the site was level, they pick up your trash at your site, and the variety of activities for kids is amazing [although we didn't have kids with us]! We camped at Sunbury / Columbus North KOA in a Motorhome. We decided to try this place out and are glad we did. Our site had a cement patio, nice picnic table and a fire ring with a metal grate. From the time we checked in until checkout there was something to do for each of my three kids, who range from age 7-13. I caught a huge bass and the kids caught over 30 fish in one day. The kayaks, canoes, inflatable toys were all no charge and we could use them as much as we wanted. This is by far the best campground we've been to all summer. We saw the staff constantly cleaning and it showed. The bathroom toilets and showers were clean every time we used them. They have some farm animals too. This is our new camping spot! Check out the old truck they have on display too. We camped at Sunbury / Columbus North KOA in a Motorhome. We called for a site for a 35' bumper pull trailer and were assured that they had a spot for us. When we arrived our spot was a back-in, too small for our trailer. The spaces are very tight and trees are planted near the front of some sites. Other campers' vehicles are parked along the road so you cannot cut your tires to turn. I would recommend that you only make reservations for a pull-through if you are more than 24', otherwise you will be very disappointed. 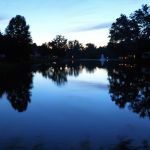 We camped at Sunbury / Columbus North KOA in a Travel Trailer. Are you affiliated with Sunbury / Columbus North KOA ?